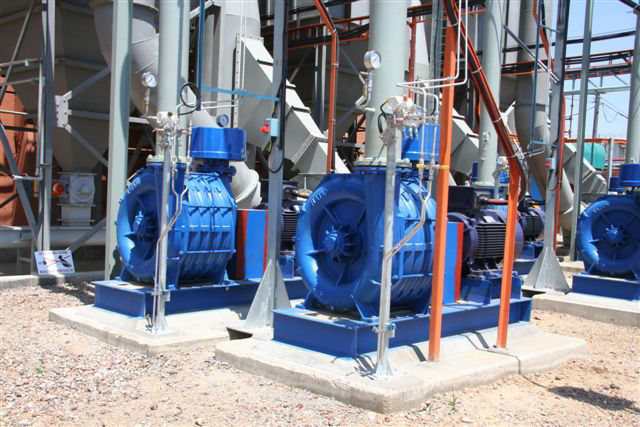 National Turbine has been at the forefront in the manufacture of blowers tailored to the rapidly expanding anaerobic digester/bio-gas market. This application requires a combination of spark resistance and corrosion resistance for safety and long blower life. Our Centurion series of cast iron multi stage units are available with a wide range of options to meet the demands of this service - phenolic coated internals, phenolic coated or hard coat anodized aluminum impellers, stainless impellers and standard gas tight construction are just a few of the options available.